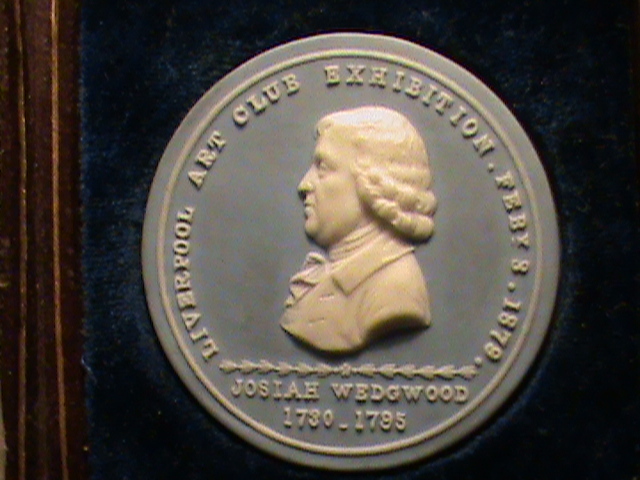 I have recently acquired a Wedgwood medallion commemorating a Loan Exhibition of Wedgwood held by the Liverpool Art Club in 1879. I am having great difficulty finding any details of this club other than passing references in various publications. This exhibition is mentiond in the catalogue of the “Exhibition of Old Wedgwood belonging to Arthur Sanderson” held in Edinburgh in 1901 as being one of only two exhibitions of Old Wedgwood held in the last quarter of the 19th century, the other being the Burslem Centenary Exhibition of 1895. Can you or any of your members help me with details of this club, such as when it was in existence, membership, etc., or direct me to possible sources of information. This exhibition has added significance in that it was largely made up of pieces from the Joseph Mayer collection, a great deal of which was subsequently destroyed in 1941.